Patient fraud could include patients who claim for free or reduced cost treatment and services when they are not entitled to it, or using aliases to get prescription drugs. 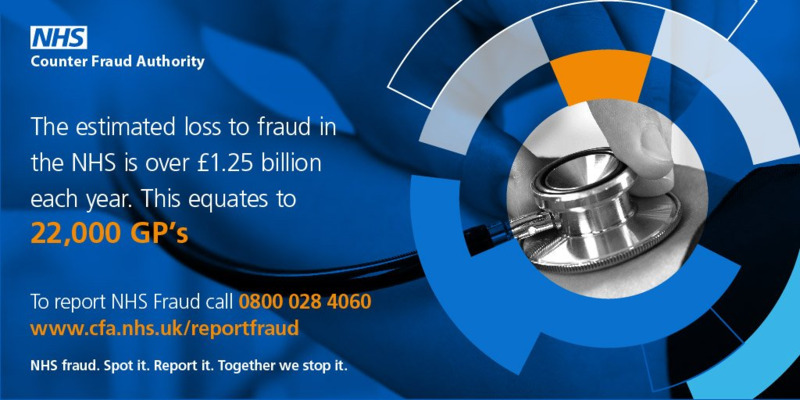 Fraud by NHS professionals could include those who claim for treatments or services not received, eg dental or optical treatments), and working elsewhere while on sick leave. 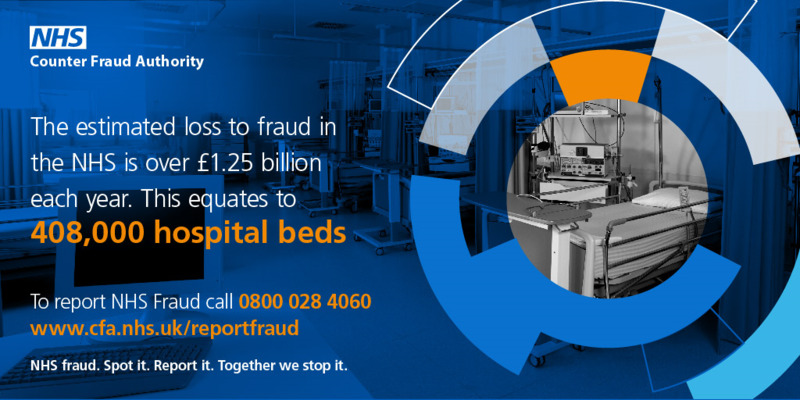 Fraud by NHS managers and staff includes submitting dishonest claims for grants and payments, eg false or inflated travel or subsistence claims and fraudulent applications for funding and training. Contractor and supplier fraud includes charging for items of a higher quality or greater quantity than those supplied, and using inappropriate tendering processes.